Get in Touchand tell them CanadianDrivingLessons sent you! So far this year I've seen a 95% of my students pass their road test, the first time. That's pretty good, well done to those who did it. A special congratulations to those students that "aced" the road test. No mistake, they did well. Alan's Driving School has been selected as one of our Most Popular Driving Lessons! At CanadianDrivingLessons our mission is to connect new drivers with driving lesson providers and make it quick and easy to find, compare and select the best driving instructors and driving schools based on your search criteria. We are building the most comprehensive online marketplace of driving instructors and driving schools in Canada where driving lessons for all types of transport including cars, coaches, taxis, motorbikes, heavy vehicles, boats and more can be found and contacted quickly and easily. 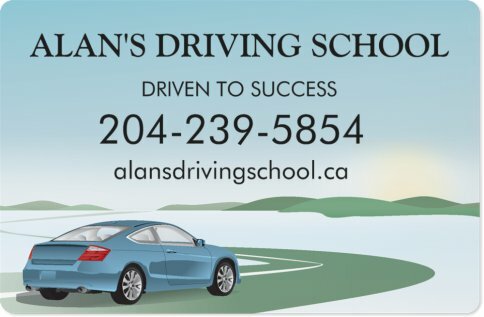 If you have used one of the driving schools or driving instructors on CanadianDrivingLessons please can you add a review about that business to the website? If you offer driving lessons of any description, please adding your details to the site and become part of our online marketplace today.